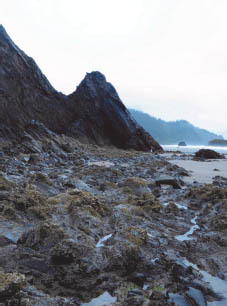 Along the Oregon Coast, sand levels fluctuate seasonally. Sand levels can rise or fall as much as 12 feet in one season and up to 3 feet on a daily basis. During the winter, large waves, generated by storms, strip the sand away from local beaches. 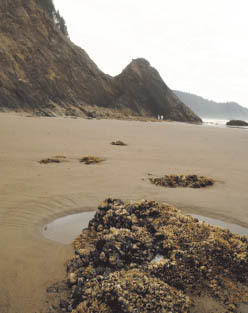 During the summer, smaller waves begin to pile sand back onto the beach. In 2008, sand levels were at a record low. 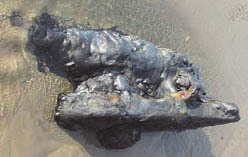 Beachcombers came across two cannons half-buried in the sand. The cannons belonged to an old naval ship which wrecked back in 1846. These cannons had been buried in sand for over 160 years! 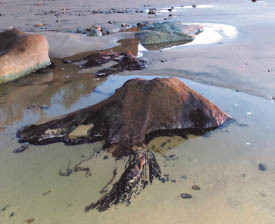 Almost every winter, an ancient forest floor is uncovered some-where along the Oregon Coast! These floors are composed of dense mud and large, petrified stumps and roots which that sand had help to preserve. Some of these ancient forest remains are over 80,000 years old!